Vinayak Bakshi is a 2014 Dual Degree Batch Civil Engineer of Godavari Hostel. He was a key member of the Institute Weightlifting Team during his stay here and was also the Institute Powerlifting Captain during 2013-14. 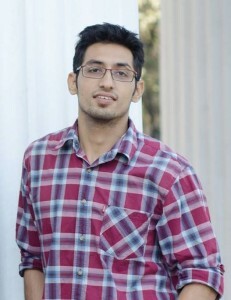 Currently working as a Consultant at EXL, Bangalore, read on to find more about his placement experiences and his present work life. I was shortlisted for three companies on Day 2, Citibank, Schlumberger and EXL. Citibank and Schlumberger both being in the morning slot and the interviews taking place at two different venues, it seemed a little hectic. But the PCs took good care in slotting the interviews so that I had enough time for both. Interview for EXL was in slot two and it went on peacefully. My interviews with EXL went smoothly. I had two interviews both of which involved HR as well as Technical questions. In my first interview I was asked a couple of puzzles, one on probability and another was more generic. Both were quite simple and I was able to answer them comfortably. Then I was given a case question with an objective of finding the approximate market for a new product launched by a bank. I was able to solve the case only up to a certain extent but was able to impress the interviewer with my efforts and logic. In my second interview again I was given a case on estimating the market size. I was able to solve the case using three different approaches and conclude with the best methodology. I was also asked to explain the solution to the Monty Hall problem which is a classic question on probability. HR questions were the usual “tell me about yourself”, strengths, interests…etc. I had only one interview with CitiBank. They asked me if I had done any projects involving coding. They asked me to explain the algorithms behind the work I had done. My profile seemed to be more inclined towards analytics which is why I was not considered eligible. I did not make it to the PI round for Schlumberger, but went through GD and experienced the GA round. The GD topics were very peculiar. Our group topic was “Blue or Pink”. I started the GD and projected my ideas clearly on the given topic and also made sure that everyone in the group was involved in the GD. I went through to the GA round in which we were divided randomly into teams. Our task was to make a Oil Rig using the “MECHANIX” tool box. Owing to our lack of coordination and team work, we were eliminated after this round. What are the job profiles offered by EXL ? 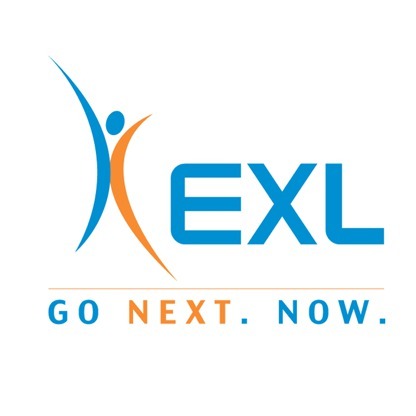 EXL offers two profiles, Consultant-1 and Consultant-2(US profile). I got selected for Consultant-1 and as of now there has not been any difference in work except for the compensation. I feel CG and cracking tests is very important for getting shortlisted. It is an indication of how committed you are. Then again during the interview you need to have things you can talk about. PoRs and extra-curriculars can be used to project your other skills like leadership, management etc. Why did you choose this area of work? I was inclined towards statistics so I thought experience in an analytics firm will help me understand its practical applications. I was also interested in solving challenging business problems and as EXL being an emerging BPO, I believed it would provide me a excellent platform to widen my interest. What advice would you give to students sitting for placements? I would advice my juniors who will be sitting for placements this year to have mock GD sessions/interviews with wing-mates or friends. Solve a few typical business cases thoroughly and discuss them with colleges. Solve Puzzles, guesstimates regularly. Identify your skills, strengths weaknesses etc, write them all down. Target companies you would want to work in and obtain enough information about it for example, what the company does, how will u contribute, any breakthroughs the company has had in recent times(say new technologies, undertook new sector etc). Understand the work profiles thoroughly and reason out what qualities/achievements identity you as a suitable candidate. Basic programming skills in at least one language is important so don’t try to run away from coding. Placements are unfair at times. People sometimes get unlucky, so don’t get disheartened, its not the end of the world. What has your experience at EXL been like ? Experience with EXL has been a rollercoaster ride. Initially we had our training during which we learnt softwares such as SAS, SQL and Visual Basic . We were given insights on the field of analytics and the phenomenal contribution EXL has had in the same. After the training was done, it took nearly a month to assign us with projects. This one month can very well be called the “honeymoon period” for an employee. Once allotted with a project, my work began to steadily improve. I am currently working on a project for Media Mix modelling using SAS. The project involves data analysis and modelling. The tool I am presently working on is SAS. I’ll also be exposed to coding in VBA and Alteryx as the project progresses. Generally the type of project depends on the team you are allotted to and the client they deal with. The common part is that all projects involve data manipulation and analysis except that the tool used may be different depending on the client EXL is dealing with. The timings here are very flexible and convenient, especially for students from IIT who generally prefer waking up late. How has Insti helped you with your work? Even though my work is not directly related to what I have learnt at IIT Madras, there are plenty of attributes that I have added to my personality during my stay in college. For example working as a team during our course project is not very different from what I am currently doing. Being able to handle deadlines, solving challenging problems, leadership(Institute Powerlifting captain) as well as better presentation skills. All these I have imbibed from my work in insti. Apart from the academics, being a part of the Inter IIT Weightlifting team has evolved me as a person which reflects in my work and interaction here in EXL. I had also done a few courses such as probability and statistics, probability methods in civil engineering , computer simulation and modelling during which I’ve learnt concepts which are directly helping me in my work. P.S. : Final years who may have queries regarding job profiles and placement fundaes with respect to EXL may comment on this post or contact directly the Blog team (chennai36@alumni.iitm.ac.in) to reach the alumni mentioned above. The team wishes to create an IIT Madras Network to enhance the placement process and experience for our final years. They are also requested to keep in mind that the above are merely guidelines that pass-outs wish to pass on and are not rigid or sure-shot ways to make it through interviews. The Blog Team wishes all the final years sitting for placements all the very best of luck in their endeavours!